Come along on a journey to build an open source IoT device, from breadboarding to manufacturing. 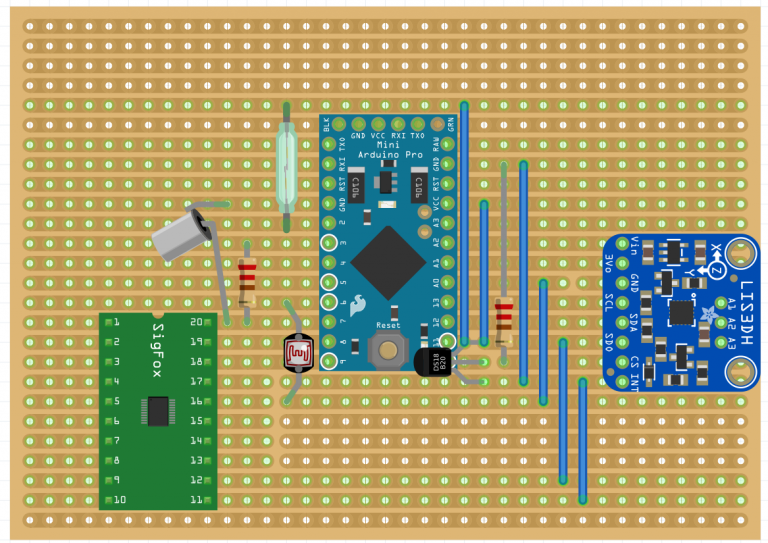 Recently I wanted to create an Arduino-based low-power Internet of Things (IoT) device for makers, with built-in sensors that could be used to deliver sensor data from any location to the cloud, and potentially control connected devices such as thermostats, lights, door locks, and other home automation products. 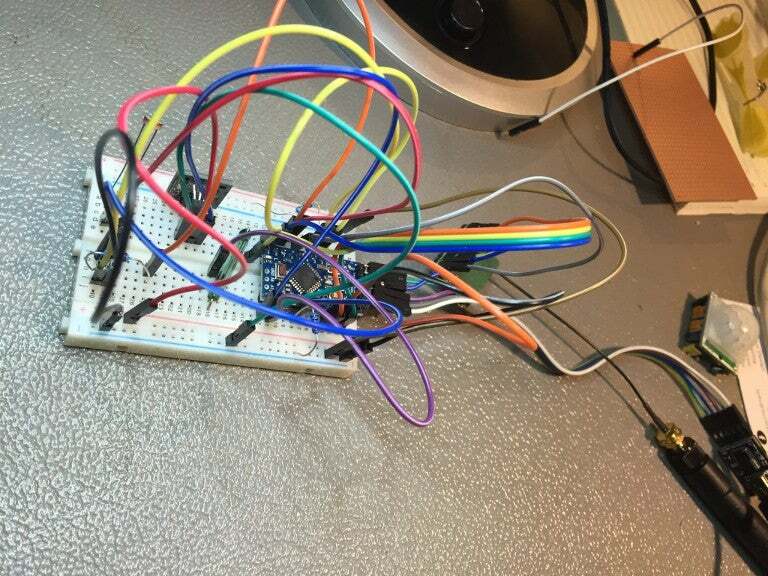 Along the way, I learned that creating a new IoT device, from idea to prototype to final product, is not as simple as I thought it would be, and there was no "ready-to-go" development device to start with. However, by figuring out how to do it, I created a new product called Siguino, an open source IoT circuit board, that I hope will make it easier and faster for other people to create their own IoT products. 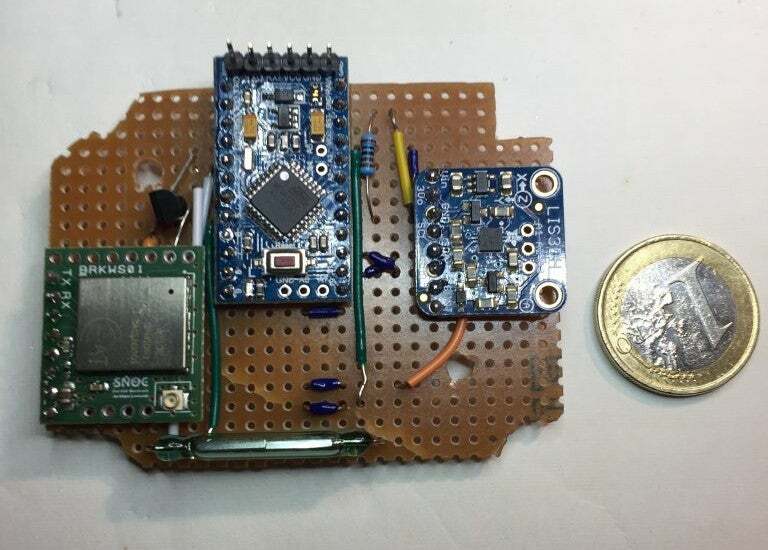 Siguino is based on a low-power version of the Arduino Pro Mini that has onboard sensors and antenna and runs off a single battery. It also leverages Sigfox, a low-power wide area network designed to connect IoT devices to the cloud. This article describes the stages to get from a very messy breadboarded (but working) prototype to a final, custom-designed printed circuit board (PCB) that others will hopefully be able to use. //! Create a bitmask of length \a len. //! Create a bitfield mask of length \a starting at bit \a start. //! Prepare a bitmask for insertion or combining. //! Extract a bitfield of length \a len starting at bit \a start from \a y. //! Insert a new bitfield value \a x into \a y. Before custom designing a PCB circuit for your device, it's worthwhile to nail down a smaller, neater prototype circuit. I opted for a stripboard version of this circuit. The end result should be a much neater and tighter version of the circuit, which is very useful in helping trim the final PCB design. 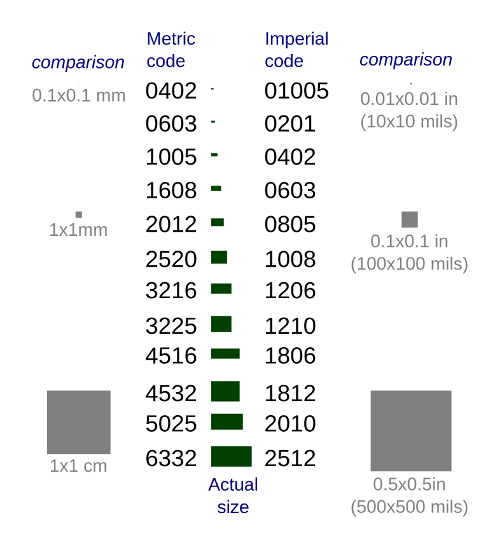 (This matters because, as a rule of thumb, the larger the PCB, the higher its cost.) It also gives a good idea about what sort of housing may be required for the final product. To design my PCB, I used Autodesk Eagle, an excellent piece of software that's free to use for small boards (<80cm) and has many component libraries (including good third-party libraries, e.g., all of the SparkFun and AdaFruit components). When routing with very small components (e.g., FPGA surface mount components), try not to have any holes underneath the component to avoid issues when you are hand soldering or surface mounting components for prototype testing in the absence of professional tooling (e.g., solder reflow ovens, pick & place machinery, etc.). It's very hard to make sure hand-applied solder or solder paste doesn't sit under the component and flow into a routing hole underneath (where you cannot see). It's also easy to forget when routing just how small some of these components are. With larger components, try not to have routing holes too near the component legs or pads for the same reason as above. A big unknown for me at the start of this project was how to build prototypes that included surface mounted components (SMCs). It's much easier to use plated through hole (PTH) components for prototyping (e.g., breadboarding), but you wouldn't choose PTH components for a final product, as SMCs are smaller and neater. What happens when you design your PCB layout with your ideal SMC components, you get it printed, and you want to put it all together and test it, but you don't have any surface mount machinery (like a pick & place machine or a solder reflow oven)? You could build your own reflow oven, but if you're building your own circuit, I think that kind of departure from the focus is a bit time-consuming. And, it is mostly unnecessary, as you can hand-solder almost all SMCs with enough practice, and you can use a relatively inexpensive solder air gun to make the job easier. I wouldn't recommend using 0402 components in your circuit. (I had no choice, as they were part of a radio-frequency net under the antenna, and larger components could have affected the antenna performance.) In fact, 0602 components are also very small and tricky to solder, but with a bit of practice it's all very doable. I would recommend ordering an extra couple of PCBs with the first batch, purely for soldering practice, as you will very likely make a mess of your first attempt. Soldering iron: It is definitely worth paying a bit more for a good quality soldering iron. I started with a cheap one, and a couple of weeks later I ditched it for a much better one, and everything was much easier. Hot air soldering gun: I also bought a hot air gun; while it has proved trickier to use than I'd hoped (getting the air pressure right so you don't blow small components off the board is an art form! ), it has made soldering some of the smaller (VFLGA) package integrated circuits, like the LIS3DH, much easier. (I'm not even sure how I would have done this with a soldering iron alone, though apparently it is possible.) It also makes it easy to remove components when you mess something up. Tweezers: A good quality, very fine tip set of tweezers is essential for picking up very small components. Eye loupe / magnifying glass: For zooming in on soldering to check for bad solder, solder bridges, blobs, missed pins, etc., I found a jeweler's loupe, preferably with a built-in light, very useful. 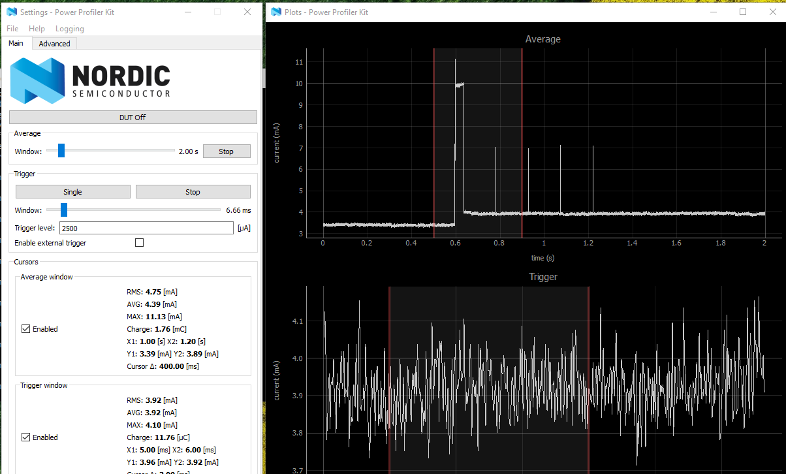 Power consumption measurement was a surprisingly difficult, but very important, part of the process. I wanted my device to be ultra-low power so it could work for a year on a small battery (i.e., a 900mAh CR2). This meant making sure that the quiescent current (the constant current draw) was as small as possible, down into the low µA range, while accounting for the occasional higher current draw during message sending. Although there are a number of methods to assess a circuit's current requirements, most have poor resolution for the very low end. Manual mechanisms, such as an ammeter connected across the power supply lines, were cumbersome to use and also only gave snapshots of how much current was used at a specific time (and in some cases did not react fast enough for any reliable measurement). A raw ATmega chip that you might have soldered on to your PCB may not come hardcoded with the correct fuse settings (see below) or with a bootloader programmed, so you may need to configure it for correct operation of your board. This is surprisingly confusing for the first-time PCB designer/builder! Fuses are non-volatile bits defining a number of programmable aspects to the way the chip behaves. There are three fuse bytes, each with 8 bits: low byte, high byte, and extended byte. For example, these control what type of clock drives the chip or at what voltage the brown-out-detector (BOD) triggers. The BOD halts code execution at the set voltage to avoid unreliable operation when power is too low. Default values are set in factory-supplied chips. These may suit the intended use of the chip. But if not, they need to be changed. 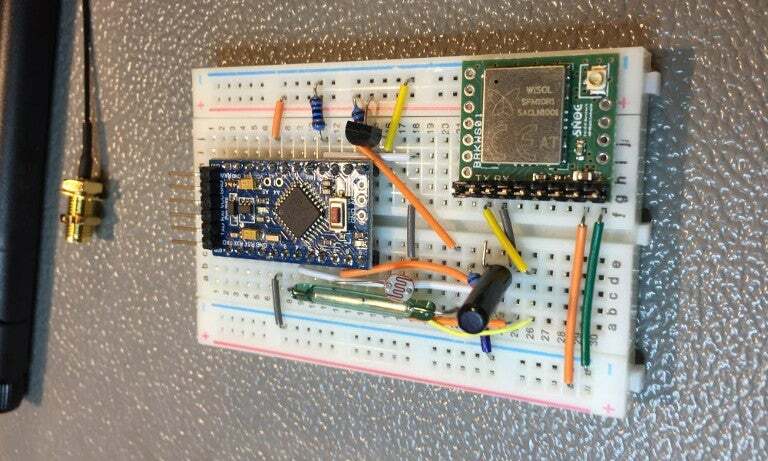 This is done via the SPI bus using a suitable interface, e.g., an Ardiuno Uno board. There are some good guides for this process here and here. The code needed to run the project application needs to be loaded into the chip. Usually an FTDI header device is used to connect the chip via USB to the programming PC. In this case, the chip needs a bootloader program to be installed to facilitate this operation. This, in effect, is a program to load a program, but it is loaded via the SPI bus using a suitable interface. Once the chip has a bootloader installed, program code can be loaded via an FTDI interface. The Arduino IDE running on the developer PC can load application code directly to the chip via this interface. Hardware components: To breadboard your circuit, you will need components such as various resistors, capacitors, sensors, integrated circuits, etc. You can find some of them on mainstream sites like Amazon, but I recommend some of the hardware-specific sites as a better option. I mainly used DigiKey; Mouser and Farnell are also good. PCB printing: Once you have designed your PCB and created the Gerber files that specify how it's to be printed, you will need find a company to print it. SparkFun has several suggestions under "Picking a PCB Manufacturer" that might be worth a look. I used Multi-CB and found them very good, timely, and competitively priced, although I had to pay via bank transfer as they don't offer an online payment option. PCB manufacturing: Once your PCB is fully designed, your components are purchased and hand-soldered, and your last prototype is tested, now it's time to get it manufactured in bulk. I received a very reasonable quote from PCBCart, which included assembly and ATmega chip programming. Since I haven't yet manufactured the boards, I can't comment on their quality or service. 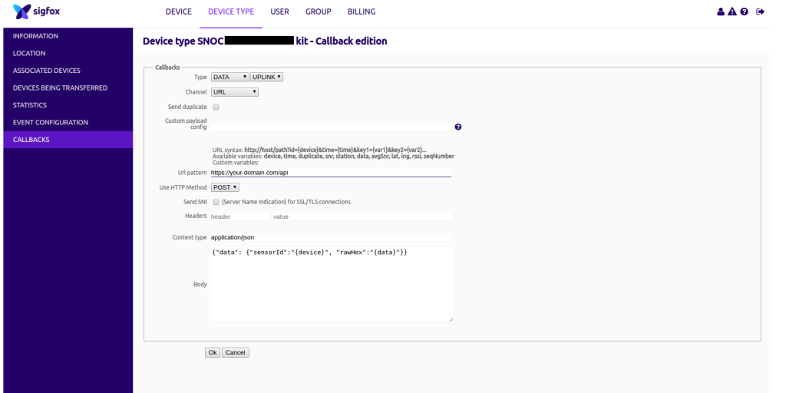 So you've built your device, and it sends messages on the Sigfox network (essentially to the Sigfox servers)… now what!? How are you going to process those messages and what are you going to do with them? // Handler for HTTP Post - "/sensordata"
Most of the simple web services you might build for basic processing of raw data from the Sigfox servers would be of a similar structure. Finally, in terms of making your device accomplish something beyond data logging, probably the easiest way to integrate it with other devices or ecosystems is through If This Then That (IFTTT), which is an amalgamation of many different APIs and systems. Once you connect your device to IFTTT, you can access the existing follow-on actions. For example, "If [your device sends X] then [send email to Y], or [make Alexa say Y], or [turn on Philips Hue lights in Y room]," or any myriad of other options. 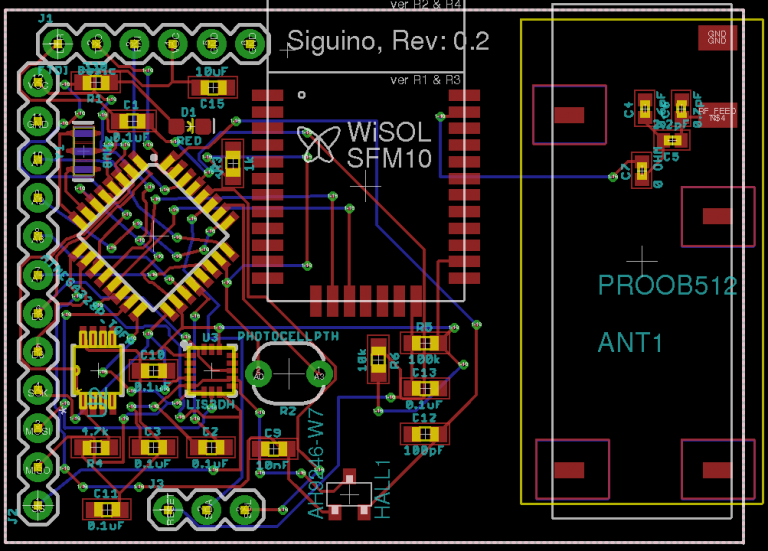 My next steps for the Siguino project are developing a 3D housing for it, going through the Sigfox device certification program, tweaking the antenna to get the most out of it, and funding and organizing the first production run of the device. Since my main purpose for this project was to learn about the technology, I've made all the software code and hardware open source on GitHub. If you have questions or find this information of value, please let me know in the comments. As you started with Fritzing, why did you switch over to Eagle later? Thanks! 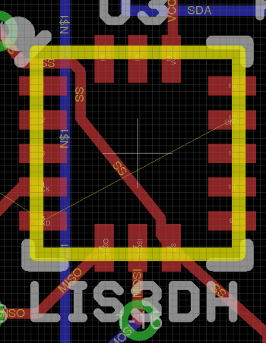 I like the Fritzing software and used initially for laying out the board in a smaller and neater package but found the power of Eagle for custom PCB design, coupled with the wide availability of libraries for many parts and the extensive tutorials made it the right choice for the final PCB designs. 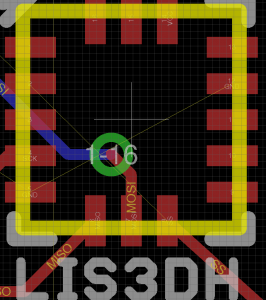 I think the transition from breadboarding to first prototype is the perfect fit for Fritzing personally (especially as it allows you to see a "breadboard" view), but when dealing with writing custom footprints and fine control over PCB routing and layout I found Eagle to be a very complete package. Thanks for the great article Scott! Also for mentioning our company Multi-CB, which does in fact, now offer Paypal for international customers. See the photos, videos, and articles we round up for Opensource.com readers.